Imagine a bustling village in Punjab. Sadda Pind is a Punjabi Culture Living Village Museum spread across 12 acres of land. 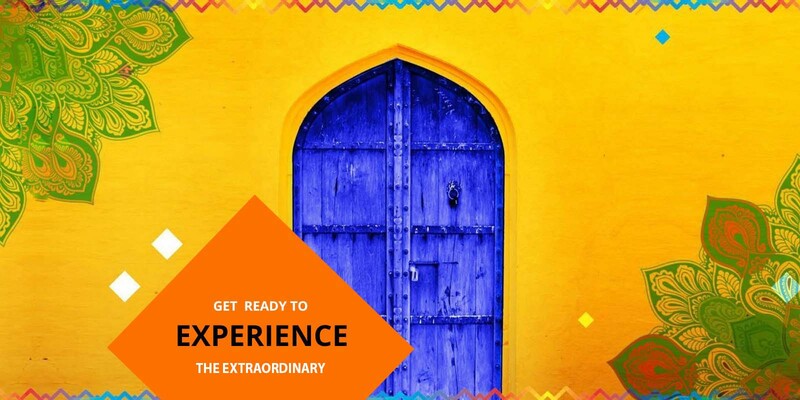 It brings you a chance to experience authentic culture, colours and flavours of Punjab in one place. Situated in the holy city of Amritsar, just 8 KM from Golden Temple and 7 KM from Airport, Sadda Pind offers a perfect setting for a weekend getaway or a short stay with family and friends. The people behind Sadda Pind have over 29 years of experience in hospitality and administration. Sadda Pind is an endeavour to redefine punjabi culture and hospitality through commitment and world-class service. Sadda Pind offers something new for everyone. The young can reconnect with their roots and understand the traditions and values of their fathers and forefathers. The elderly can remember their happier times. Foreign tourists can sample the true Indian rustic lifestyle. Tourists from other states can experience the true Punjab in one place. At Sadda Pind, you can experience the old world charm of Punjab through cultural performances, folk dances, local handicrafts, songs, stories and of course, cuisine. 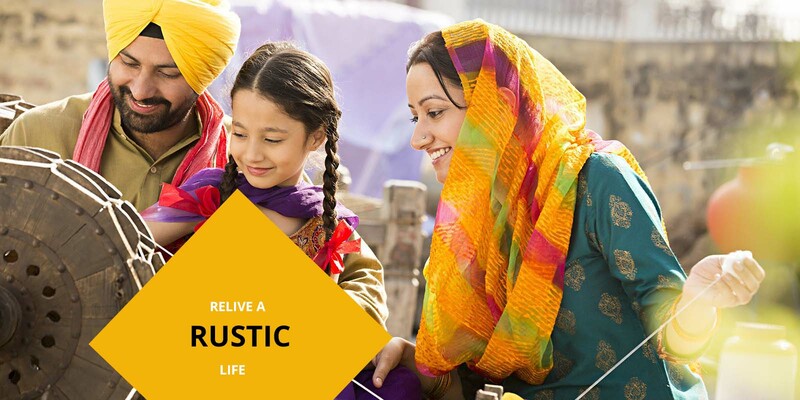 Sadda Pind is a fantastic place to connect with the Punjabi roots and experience live punjabi culture around it. It recreates a Punjabi village in the true sense. As a guest, you can see, participate and interact with people from village and their culture. Sadda Pind has everything to keep you busy and entertained for an entire day. It offers day packages and also stay packages. You can learn a traditional art or create a masterpiece of your own. Phulkari, Punjabi jutti, clay toys and utensils, ironwork, durries, agricultural implements are some of the traditional arts showcased here. Punjab can never be complete without its music and dances. 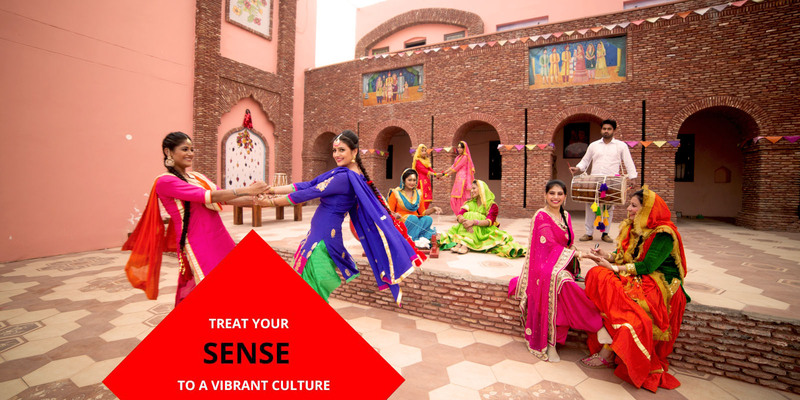 At Sadda Pind, treat your senses to the vibrance and beats of traditional Punjabi folk dances like bhangra, gidha, jhumar and kikli. 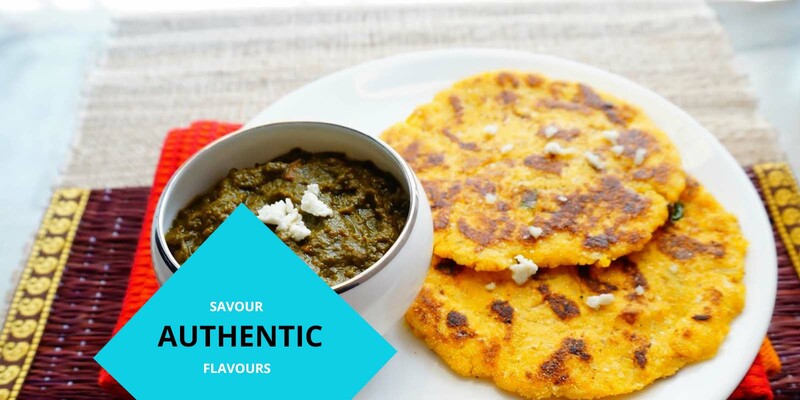 Your trip to Punjab is incomplete without savouring its authentic flavours. At Sadda Pind, you can sample the traditional North Indian or authentic Punjabi cuisine at Chayee Ji Ka Vehra, the Dhaba at Sadda Pind. We offer an a la carte menu as well as a traditional thali. Kadhi chawal, Amritsari naan, lassi, Makki Di Roti, Sarso da Saag, naan, rotis, rabri, kulfi are a few of our specialties. Staying at Sadda Pind is an unforgettable experience. At night, in the entire village you can enjoy with punjabi traditional dance, lights, colours and celebrations. Sadda Pind offers 20 spacious and comfortable guest rooms. Each room has been choicely designed with rustic motifs offering you an experience of a traditional Punjabi village. It is an experience of a life time and we would want you to have it. Sadda Pind is located in Amritsar which is easily accessible by rail and air routes from anywhere in India. It can be easily reached by road as it is located conveniently behind Guru Nanak Dev University on the Main Bypass road. Sadda Pind welcomes its guests throughout the year. Though Sadda Pind is a showcase of Punjab, there is nothing like normal museum about it. It's punjabi village culture living museum. Each attraction here has been carefully chosen and planned keeping in mind your age and interests. Sadda Pind is a great place to visit with your family, friends or even colleagues. You can spend a day here, so even stay with us for a day or two. A day package allows you to spend 8 hours at Sadda Pind. It offers a complete tour of the place along with: fun filled activities, a guided tour, refreshments, an experience of the local arts and handicrafts, awesome shopping.